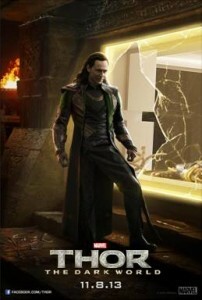 I am so excited for Thor to be coming out soon!!! I know we have seen pieces of this clip but never the whole thing. If you are as excited for Thor as I am you might be interested in the sweepstakes Marvel and Disney are having only for 24 hours!!! For 24 hours only (9:00am PST, Thursday 10/10, until 8:59am PST Friday morning, 10/11), fans in the US and Canada have the chance to win one of two family vacations for 4 to the Disneyland Resort for the October 26th opening of Thor: Treasures of Asgard, the brand new experience coming to Disneyland! In addition to being one of the first people to see the experience, winners will also get 4-Day Park Tickets! All you have to do to enter is visit the THOR page on Facebook and answer the following question in the comments of the sweeps post: Who would you travel with if you had the chance to go to Asgard: #Thor or #Loki? Full rules and details can be viewed on the THOR Facebook page!